Some people seem to think that I hate The Beatles, but that is not true. I just don’t like their music. I am fascinated by The Beatles. Their impact on the music, the eerie perfection of some of their songs, their popularity, it is all a mystery to me. In an attempt to understand the magic of The Beatles, I listen a lot to their music, but mainly in the versions of others. When I listen to the Beatles playing their own songs, it is like listen to the rain or to the birds: it is hard to imagine that this music was ever not there. All great art has this quality, that makes it seem is has always been here. If birds would start to sing Beatles tunes, it would not surprise many people, because the tunes are so familiar. It is difficult to ruin a Beatles song. Even in the versions of the lousiest bands there is almost always a little echo of the genius of the original song. As if the jukebox in our heads immediately plays our memory copy of the original whenever we hear a cover version. I think that this is another feature of all great art: you remember it, whether you like it or not. 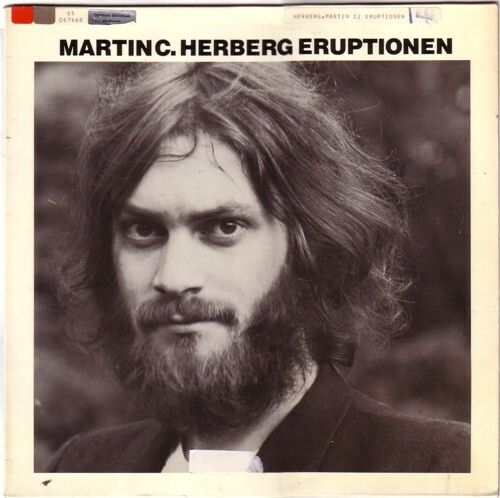 On his LP Eruptione , released in 1979 on his private label Homegrown Special Records, Martin C. Herberg* plays a few Beatles compositions. Much is improvisation, but there are some songs on the LP too. 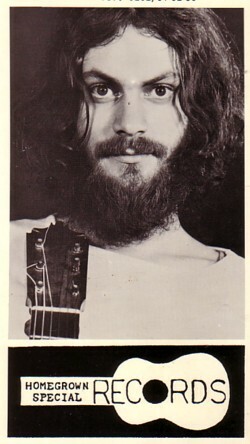 On the pictures Martin C. Herberg looks a bit as a German version of Charles Manson, and also the liner notes seem like they were written by a hippie. But like I said, this record is from 1979! Paint it black is by far the best song on the LP, but I like the Stones even less than the Beatles (but for other reasons), so you get to hear Eleanor Rigby. Ha ha, nice writing. Birds whistling the Beatles, why not? Good track. Is this really Eleanor Rigby? Not much to recognize.